Goat anti Rat IgM antibody recognizes rat IgM as demonstrated by ELISA.  This antibody has been cross-absorbed against rat IgG, but may react with IgM from other species. Antisera to rat IgM were raised by repeated immunisations of goats with highly purified antigen. Purified IgG was prepared from whole serum by affinity chromatography on rat IgM covalently linked to agarose. This product is photosensitive and should be protected from light. This product should be stored undiluted. Avoid repeated freezing and thawing as this may denature the protein. This product is photosensitive and should be protected from light. Should this product contain a precipitate we recommend microcentrifugation before use. Brissette, C.A. et al. (2012) Acetate supplementation reduces microglia activation and brain interleukin-1β levels in a rat model of Lyme neuroborreliosis.